Travel teaches you things that probably no other experience in life does! One of the many things it taught me is PATIENCE! Patience to look out of the window and enjoy the view when I was all hassled because the train was 5 hours late, patience to listen to a regular life story of a passer by who did not have anyone to share even though I was almost about to miss a flight, patience when we had to take several detours on a well planned road trip only to realize the destination was not worth but the journey was definitely, patience to wait for food after a long drive because the oven of the local woman was not functioning still she took all the pain to make whatever little she could from the neighbor and cooked a simple delicious meal! 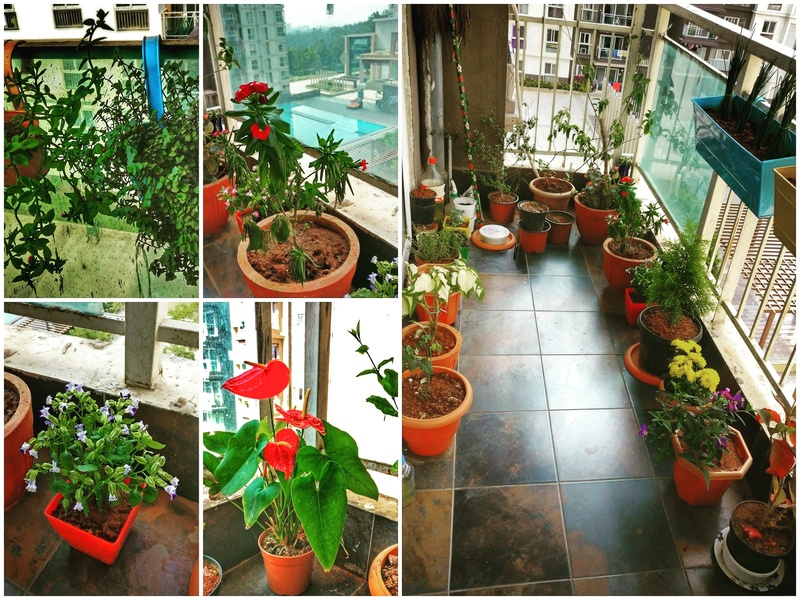 My restless mind learnt paitence through so many such experiences but the best was probably what I learnt while nurturing these plants, seeing them slowly grow and reaping and making our living beautiful! Sharing a little happy corner of our home that makes our life beautiful in so many ways!